Situated just 10 miles west of the vibrant city of Norwich, Barnham Broom is the perfect place to stay if you want to discover the glorious sights and sounds of Norfolk. Norwich city centre is one of the country’s best-preserved cities offering visitors a glimpse of stunning architectural brilliance at Norwich Cathedral, Norwich Castle and Elm Hill. In addition, it is renowned for offering one of the UK’s best shopping experiences with its mix of modern shopping malls such as Chapelfield and its boutiques situated in The Lanes. 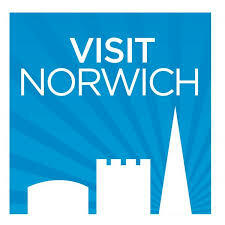 Norwich also hosts the month-long Norfolk & Norwich arts festival in May, farmer’s markets on Gentleman’s Walk and art exhibitions at the Forum. You’ll enjoy visiting the thriving market towns of Norfolk such as Holt, Aylsham, Fakenham, Burnham Market and Swaffham. The easy going pace of life in these towns will add to the relaxation of your stay whether you want to explore antique shops, take afternoon tea or simply enjoy a leisurely stroll. The North Norfolk coast offers visitors some of the most stunning views in the country. The big skies and long beaches make it a great place to get away from it all. You can spot seals at Blakeney, go crabbing at Cromer or walk for miles at Holkham. Norfolk prides itself on its historical importance. The Queen’s residence at Sandringham is a popular destination as are the halls at Blickling, Felbrigg and Holkham. If you like sport, then you’re spoilt for choice. Norwich City hosts the country’s biggest teams at Carrow Road. The racecourse at Fakenham is well known as an exciting place to watch the horses and each year the Tour of Britain returns to the county to show off the best cyclists in the world. Quite simply, there’s something for everyone in Norfolk. There are plenty of reasons to visit at any time of the year. There’s plenty of things to do in the Norfolk Broads such as boating and sailing, canoeing and kayaking; go crabbing or rockpooling at the coast and enjoy the attractions of Great Yarmouth, Cromer and Hunstanton; and Norwich is a hot bed of events, activities and entertainment. We don’t agree with Noel Coward’s Private Lives ‘Very flat, Norfolk’ comment, but it’s true we don’t have many mountains. Gently undulating would be more like it, which makes cycling and walking through beautiful countryside and along unspoilt coast an absolute joy. Art lovers and culture vultures will be in their element. You’ll find many galleries and exhibitions, and concerts range from classical at country houses to outdoor pop in Thetford Forest. Festivals include beer, literature, food and drink and the biggest of them all – the Norfolk and Norwich Festival in May.